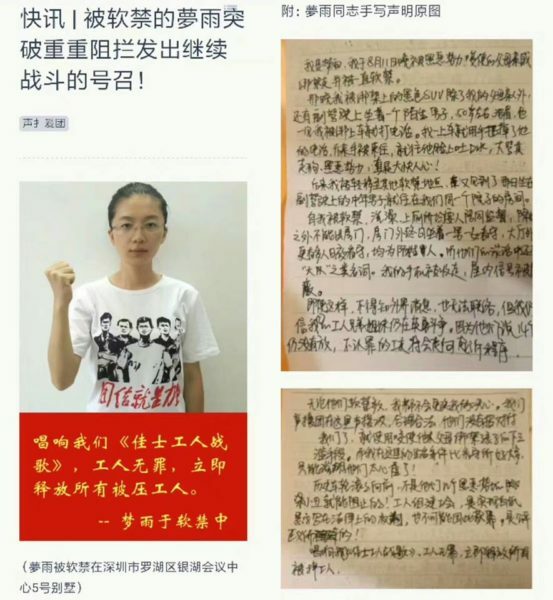 These are the fighting words of Shen Mengyu in a letter smuggled out of her arrest cell in Shenzhen, China. We hope our readers will feel as if she is speaking directly to you and take action accordingly. 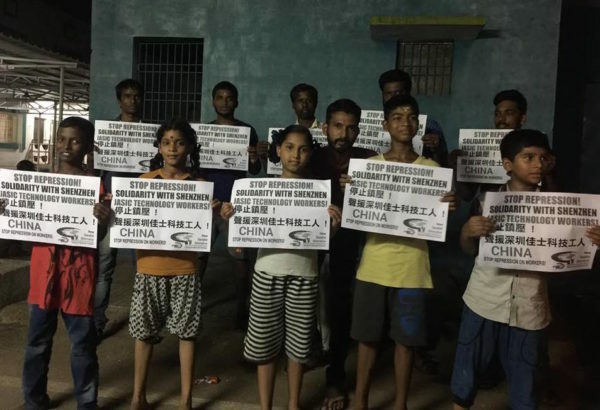 It has recently emerged that Shen is being detained in a house in Shenzhen, an unofficial detention centre or “black jail”. Such methods are a common method of repression in China, making it easier for police to keep someone indefinitely, cut off from access to a lawyer, family or media. There are eight police officers watching her 24 hours a day, even when taking a shower or going to the toilet. Here we publish a photo of the letter from Shen. 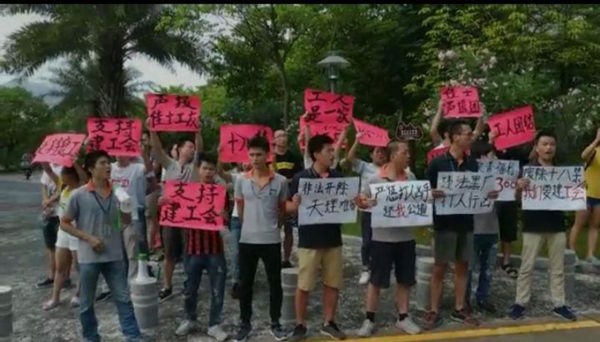 The young Shenzhen activists fear a police raid on their meeting place is imminent. They are preparing to resist. The state has tightening its grip in recent days with harassment by police, increased internet censorship and the closure of social media accounts and chat groups that activists and workers used to organise the struggle. “Jasic”, “Shen Mengyu” and “Pingshan” (the Shenzhen district where the struggle is taking place) are all now banned words on the internet. The Jasic workers’ struggle, which began in May, has elevated the issue of independent unions and made it the central focus. 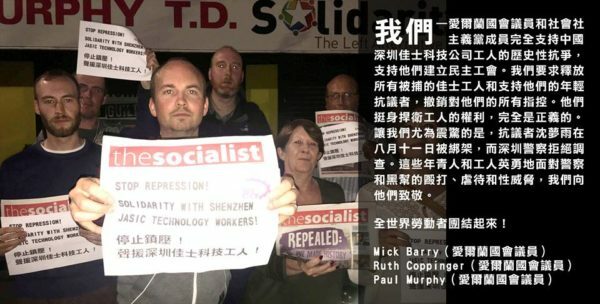 This is what makes this struggle so important and not just for fighting to improve conditions at their own factory, which Jasic workers have likened to slavery (fines for petty infringements, excessive work hours without days off, underpaying of legally stipulated social insurance and more). 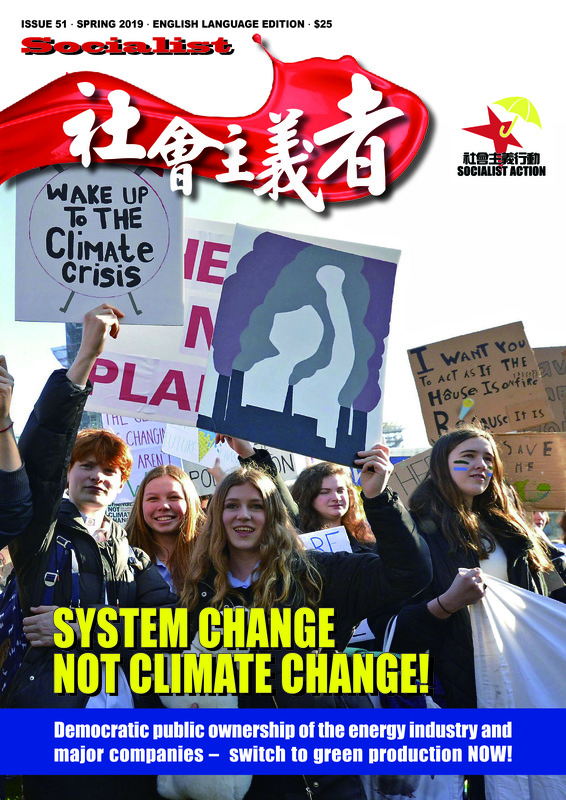 The struggle also establishes an important reference point for future workers’ struggles in China. 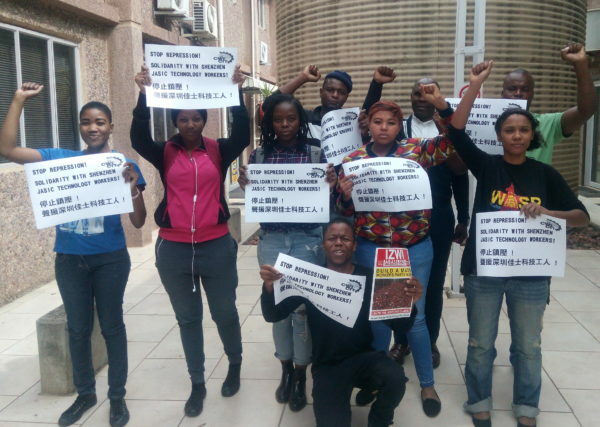 Solidarity action in Pretoria, South Africa, by members of Workers and Socialist Party. Then Jasic’s management cracked down accusing the workers of acting illegally. Lo and behold, at this point the ACFTU officials completely sided with the management. 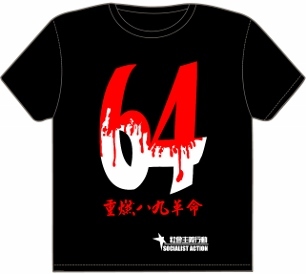 The bosses of Jasic are well connected with the local CCP (‘Communist’ Party) establishment, with two of them being ‘delegates’ to Shenzhen’s People’s Congress, an appointed pseudo city council. According to Reuters journalist Sue-Lin Wong, on her twitter account, Jasic workers she spoke to mentioned sexual humiliation among several methods used by police to get signed confessions. Those still being held could well face the charge of “picking quarrels and stirring up trouble” which can lead to up to five years in prison. Solidarity from Chennai, India, members of New Socialist Alternative (CWI).